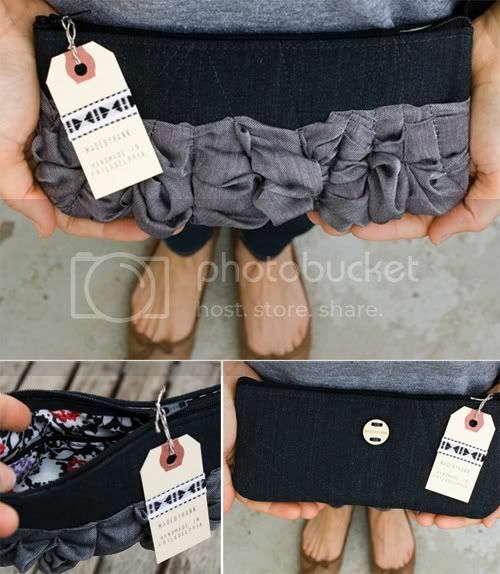 & you can WIN THIS sweet zipper purse from made by hank! Who doesn't love a bag by this talented lady? I swoon (maybe drool) over all her things ;) Okay, so if you fill out the survey, just leave a comment below & a winner will be chosen by next week's deal! Thanks friends! Thanks sweet friends! Happy Monday. Just filled out the form! Filled out the survey. That bag is adorable! filled out the survey! Love the cute lil bag!!! Hi, Just completed the survey! I filled out the survey, hopefully you can find it helpful! So cute! And I filled in the survey. i just filled out your survey! I filled out the survey. I love this blog. The diys are my favorite. Survey complete! That purse is adorable! I filled out the survey, love the deals!! Filled out the survey... the bag is super cute! 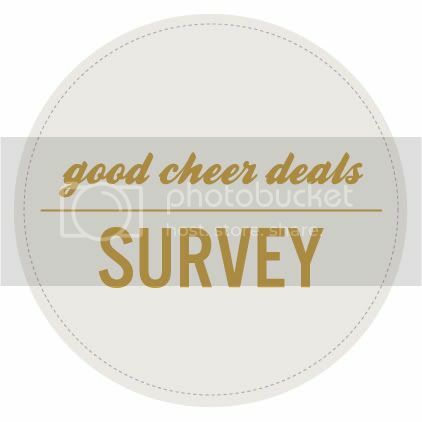 I filled out the form and love the good cheer deals :) I might actually have some things to contribute to them! And I love this purse featured here! I can't get enough Made By Hank! Before we had a baby I was able to get a few of her items, but now that I've stopped working, I have to just admire from afar. Love this giveaway! this is adorable! I just filled out the form. Thanks for the giveaway! how cute is that clutch? I just filled out the survey. Just completed the survey! Absolutely in love with the purse :) thank you!! Cute Bag! Just filled out the survey. Fingers crossed! You do such a great job, seriously how awesome is your blog?! Just filled out the survey! :) Love the cute purse! Hi, I've filled out the survey. Thanks. I've just taken the survey as well. Form filled out... and sent! ;)Those bags are adorable. Survey filled out. :) So excited about the giveaway too! Even your survey is pretty, ha! Looove that bag & filled out the survey! Sorry you're having such a down day, I hope it's become a much better one! Filled out the survey for ya! :) Love the bag! I filled out the survey and now dream of winning a madebyhank bag. Thanks! I took the survey. Great questions. And I like that it was short and simple. Keep it sweet. survey complete! that bag is so cute! I love love love Made by Hank goodies!!! Fingers crossed for big win!! survey filled!! Took the survey! I LOVE made by hank ... fingers crossed for a win! Filled out the survey! Please, please, please let me win the bag! It's GORgeous! Survey filled! That purse is RAD! filled out the survey. love the purse! Just filled out the survey! Such a cute bag; thanks for sharing these deals! Hope the feedback is helpful as your blog is pretty wonderful. Love a good survey! And the purse too! Just filled out the survey, and I'm hoping that Made by Hank becomes one of the good cheer deals in the near future. I love her bags! love the purse, just completed the survey! just filled out the survey. Survey completed! I've been eying made by hank bags for a few years! answered and waiting impatiently to see if i won!! so cute! Just filled out your survey! Love the Good Cheer deals and such a cute purse for a treat! Just filled it out, and found you. I love your blog and content. What a great little bag, I would fill it and take it anywhere. Very lovely! What a FABULOUS little bag! Filled out the survey... isn't it fun to get survey results back? Completed survey! Just look at all this yummy data you're getting! filled it out. great idea! love that you want the feedback.